Danny Timmins, CISSP, is MNP’s National Cyber Security Leader and a member of the firm’s Enterprise Risk Services team. 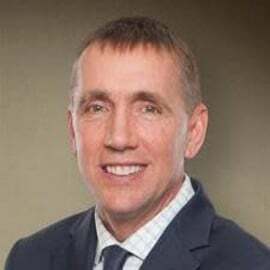 Drawing on more than 20 years of experience, Danny is responsible for leading and mentoring an experienced, highly skilled cyber security team in the delivery of customized, client-focused cyber security managed services, product solutions and professional services. Danny’s expertise includes working with executives and boards to assist with the development of prioritized and strategic cyber security strategies. By focusing on deliverables that fit clients’ unique business needs and objectives, he helps organizations improve awareness and reduce and manage overall cyber risk. Prior to joining MNP, Danny was the CEO and president of a cyber security company he co-founded that won numerous industry awards. Respected throughout the cyber security community, he travels across North America to attend and often speak at various industry events, sharing his knowledge and collaborating on the direction of cyber security in the marketplace. Danny also sits on the Canadian Advanced Technology Alliance (CATA) Cyber Security Council, working to further cyber security with Canada. Danny holds the Certified Information Systems Security Professional (CISSP) designation. His desire to lead and share goes beyond business to the community and he has been an active volunteer for more than 28 years.